Remember when there was rumors of a new Playstation handheld  back in January? Well, now the Vita is here, and here’s your chance to win a free one! In celebration of the Vita coming to America, there’s going to be a launch party in San Francisco ! Of course, this launch party isn’t going to be your run-of-the-mill launch party where a bunch of nerds crowd around one Playstation Vita; there’s going to be 32! A tournament will take up the majority of the launch party with a raffle at the end. What are they raffling? Two Playstation Vitas! Plus a bunch of other free stuff! 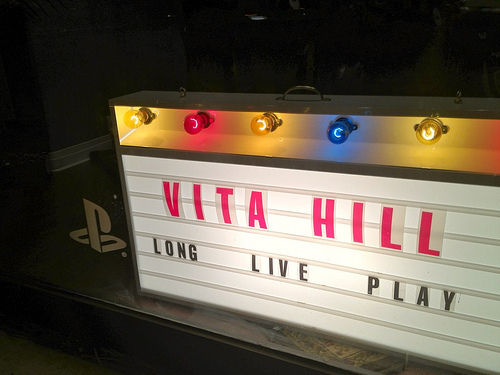 So if you got nothing else to do this afternoon, be sure to attend the Vita Launch party! Remember it’s today February 22 from 5:30 p.m. to 8:30 p.m. Oh, did we mention the tickets for the bus and event are FREE?